Chris Kamler joins Andrew to reminisce on the Royals. Chris is @TheFakeNed on Twitter, a Twitter account with almost 18,000 followers. He was just voted best Twitter personality by The Pitch Magazine. 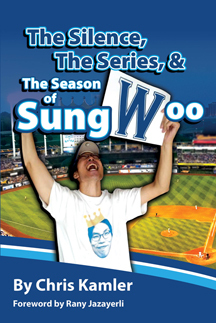 Chris talks about what it’s like being @TheFakeNed, what the past two Royals post-seasons have meant to the city, and muses on Sungwoo Lee. Chris also gives us the latest on the development of the Sungwoo movie. In the second half, Chris and Andrew discuss the “Burnt Legend” Web Series on Flatland KC; cycling on Line Creek Trail in Platte County; Stockyards Brewing in the West Bottoms; and the Tour De BBQ, Kansas City’s tastiest bike race. Other things we talked about: Arthur Bryant’s Barbeque, Smokin’ Guns BBQ, Jack Stack Barbeque, Oklahoma Joe’s BBQ, Woodyard BBQ, Epic Cycle, Up-Down Arcade Bar, BB’s Lawnside BBQ, and The Season 1 Podcast @season1pod.